Give life and health to a child with diabetes and hope to entire family! Sending a child with diabetes to Camp Seale Harris is the best thing you can do for them to learn independence and confidence in managing diabetes well, and to find support from friends that understand. Camp Seale Harris and our ongoing year-round family support gives kids with diabetes what they need to live well. Our understanding and supportive family network assists with individual and family health year-round. 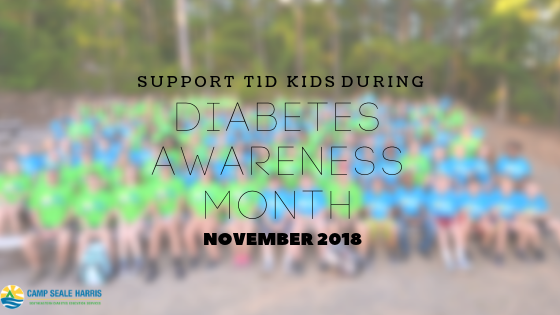 We bring together diabetes professionals including: physicians, nurses, dieticians, and diabetes educators so that children/families can receive out-of-hospital access to comprehensive diabetes management education, support, friendships, and networking with other children and families living with this difficult illness. The average cost to serve one child or family is $1,200, but all receive partial scholarships and many need full assistance. Your donation can make a life-long impact on a child. Even just $10, $25, or $100 will help a child with diabetes right here in your community. Until there is a cure for juvenile diabetes, SDES-Camp Seale Harris helps children and families live well. Donate today to give health to a child, and hope to an entire family. Please share my mailing address with Southeastern Diabetes Education Services, Inc.